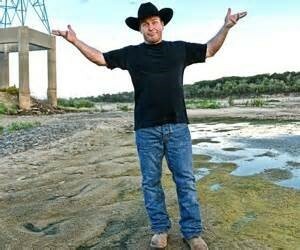 (Corpus Christi, TX October 2, 2017) – Rodney Carrington is a multi-talented comedian, actor, singer and writer who recorded eight major record label comedy albums, which have sold millions of copies. Rodney then released three new albums on his own record label called Laughter’s Good Records. An album of new songs and material entitled Laughter’s Good debuted at Number One on the Overall Comedy Charts. The same week, the re-release of Rodney Carrington Live, C’mon Laugh You Bastards debuted at Number Two on the Overall Comedy Charts. According to Pollstar, Rodney has been one of the top ten highest grossing touring comedians for the last ten years and among the top 5 the last several years. Rodney is on track to be in the top 5 again in 2017 as he regularly performs to sold out crowds across the US, Canada, and even Australia. Rodney broke through with his major label comedy CD debut Hangin’ With Rodney in 1998. The next few years saw nine more Top 10 comedy albums: Live, Greatest Hits, King of the Mountains, El Nino Loco, C’mon Laugh You Bastards, Laughter’s Good and The Hits, all of which continue to receive radio airplay and regularly place on the national comedy charts. Morning Wood has earned a RIAA gold record certification, and Greatest Hits (a double CD), has now reached platinum status. Rodney also released Make it Christmas which features his original song “Camouflage and Christmas Lights”, a tribute to our military. Rodney’s popularity derives, in large part, from his connection with his audience, both at his live shows, and through social media. By the looks of his schedule in 2018, he shows no signs of slowing down! Tickets go on sale Friday, October 6 at 10:00am. Get your tickets at ticketmaster.com, the American Bank Center box office, or by phone at 1-800 -745-3000.